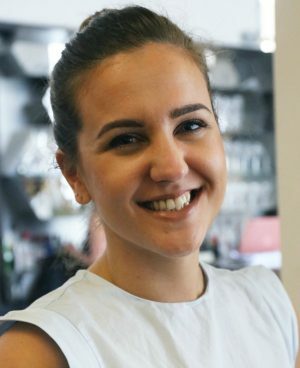 This week it’s the turn of Lucy Clarke, Marketing Director at Social Chain. Well, what an exciting and positive week it has been! Our wonderful neighbours Manchester Digital released their latest study #RelocateMCR this week, taking us through the evolution of the digital and tech sector over the last year. Looking at Manchester specifically, a massive 4,000 people relocated from London to Manchester in just a year. Not only does the city house fantastic brands, like our clients Boohoo and The Hut Group, (and as a southerner myself, I can say this without bias) the cost of living, community feel and culture is pretty incomparable. The North also massively supports start-ups like ourselves. The talent and entrepreneurial spirit allows for companies to grow and really achieve their potential. Entrepreneurialism runs thick through our community; yesterday it was announced that Skyscanner, which began life here in Manchester, has been acquired by China’s biggest online travel firm Ctrip for a massive £1.4bn, giving the tech company room to become a truly global operation. Companies in the North providing business solutions are obviously positively impacted - with, for example, Verastar announcing only today that it is looking to rapidly grow its Manchester HQ to meet the needs of SMEs. The news this week also highlights just how rapidly our industry is thriving, not only in the North but across our country. This week we have seen Facebook announce an additional 500 high-skilled jobs coming to the UK, helping to increase the social platform’s British posts by 50%. The increased need for these roles creates exciting opportunities for the youth of today. Unfortunately, the Autumn statement doesn’t necessarily reflect this growth. The ‘future-proofing’ solution does not extend to the full capacity of the industry. A strongly written piece by UKFast CEO Lawrence Jones projects common frustrations across our community. He says, “We have a chance to lead the world in innovation and I’m not sure the government is ready to grasp the opportunity.” It’s a shame innovative companies are having to look overseas for large investments.